GALION — A new system available at Galion Public Library and libraries across the state of Ohio offers free online educational courses for all ages. Lynda.com was rolled out statewide in the beginning of September. It is a learning program that covers a variety of topics for businesses or individuals who might be looking to better themselves. The Lynda program offers 12,000 classes to choose from including Basic PC Skills, Public Speaking, Internet Safety, along with Classroom Management for teachers. There is even a course for students that includes ACT and SAT preparation, as well as writing skills and how to create a resume. To access the program, all that is needed is a valid library card from within the state of Ohio and a computer. If a home computer is not an option, Galion Public Library has public computers available for use that can even be scheduled in advance. Griffith, who is new on staff at GPL, is the Publicity and Circulation Clerk. She is a Galion native who worked at the Library of Congress in Washington D.C. during her college training. Anyone with questions regarding Lynda.com is encouraged to contact Kaitlyn at Galion Public Library by calling 419-468-3203 or by email at kgriffith@galionlibrary.org. 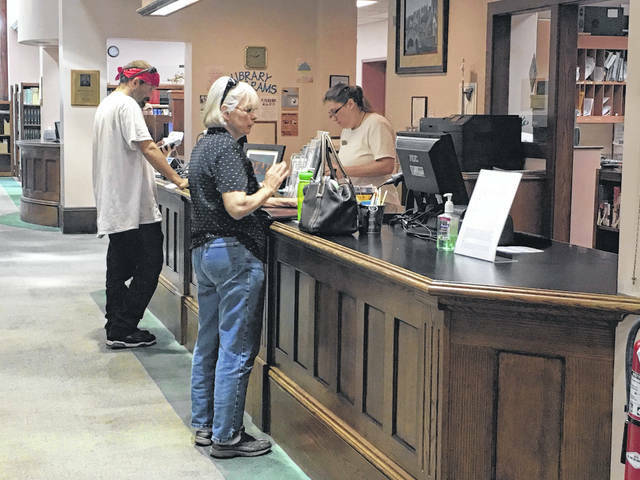 Another new circulation item at Galion Public Library is planned to be in place by the first of October. “Activity Kits” will feature a variety of themed topics that will appeal to many patrons. Currently, there are six options planned including Coloring, Baking, and Gardening. Each Activity Kit will include items to be used in conjunction with the topic, with a kit about blood pressure that will include a blood pressure monitoring cuff. Some Activity Kits will be planned seasonally such as Pumpkin Carving which will included when they are first released in October. The addition of Activity Kits are also planned for teens and childrens topics in the near future. Patrons at Ohio Public Libraries can now enjoy online courses through a new website called Lynda.com. It offers 12,000 courses on a wide variety of subjects and is available to anyone with a library card. https://www.galioninquirer.com/wp-content/uploads/sites/38/2018/09/web1_42328968_244631399579096_8355326916898586624_n.jpgPatrons at Ohio Public Libraries can now enjoy online courses through a new website called Lynda.com. It offers 12,000 courses on a wide variety of subjects and is available to anyone with a library card.